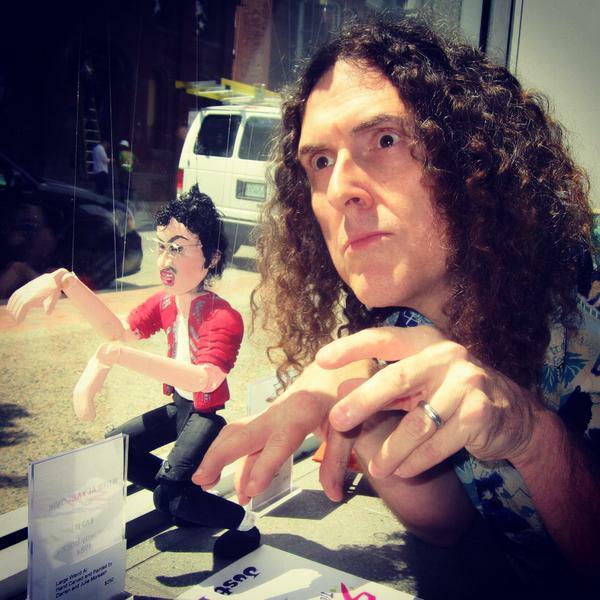 BID on a ONE-OF-A-KIND marionette of "Weird Al" Yankovic handcarved and painted by Canadian artist Darren Moreash from Halifax, Nova Scotia. One of the most iconic marionettes made by Nova Scotia artist Darren Moreash, depicts "Weird Al" from his record breaking music video "Eat It" - parodying Michael Jackson's "Beat It". You can view this work in person at Argyle Fine Art (www.argylefineart.blogspot.com) in addition to viewing it here. We're excited to offer this autographed one-of-a-kind artwork which is a valuable collector's item for any Weird Al fan.